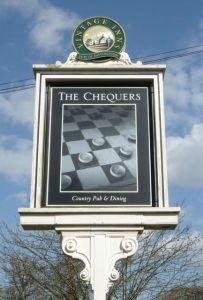 Had a very nice New Year’s Eve at the Chequers in deepest Hertfordshire. Big thanks to Martin for booking the band again – also for feeding us so well! We’ve been kept busy with private parties – a 21st birthday party, works parties for Oxford University Press & the staff of JR hospital intensive care unit. We also had the pleasure of performing at the Cahoots Collective at the Mad Hatter in Oxford and the Hedsor jazz club near Maidenhead. Looking forward to another swinging year.